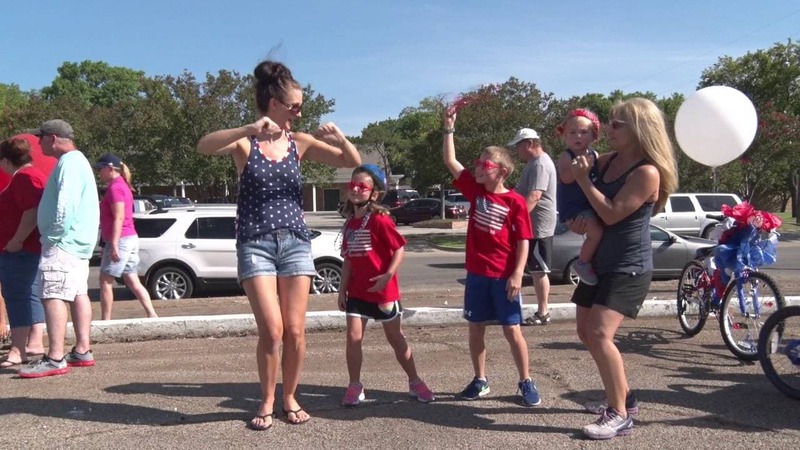 ENNIS—The City of Ennis is buzzing with newfound energy that shines through in an epic hometown pride video featuring Justin Timberlake’s hit single “Can’t Stop the Feeling”. It all started with a mention of creating a video on social media. It quickly snowballed into a production that the entire city rallied behind. “This all started as a simple idea just to have fun and show others our community spirit. We had no master plan to make a viral YouTube video, but are very pleased that so many have enjoyed it,” said Ennis ISD Communications Officer Bill Honza. The Mayor, Chief of Police, firemen, high-school drill team, local dance studio, and many others quickly got wind of the idea and wanted to participate. Even the newest member of the police department, Snitch – a certified narcotics detecting canine, got in on the action. The backdrop features numerous locations in the historic downtown area of Ennis. It opens up with Mayor Angie Juenemann showing off her moves. Freedom Fest, an annual Fourth of July celebration, is highlighted throughout the video. A patriotic bike decorating contest and a parade through tree-lined historic neighborhood streets provides a great environment to get citizens moving and shaking. This video has touched the hearts of many and has gone viral in the first twenty-four hours with over 1,250 social media shares and 9,000 views on YouTube. This truly shows a community effort that showcases the heart of Ennis. “This City of Ennis video project was filled with so much community pride and joy, it did not feel like work and everyone wanted to participate,” said Main Street Coordinator Becky McCarty. For more information on the City of Ennis, contact the Ennis Convention and Visitors Bureau at (972) 878-4748. “I hope we can do it again one day!” Said Juenermann.